Activists bringing rifles into Texas chain stores in recent weeks have put the state at the center of a national fight over “open-carry” laws, reinforcing many Americans’ perception of the Lone Star State as a haven for gun rights. In reality, Texas has one of the nation’s more restrictive laws on the carrying of handguns—a policy that firearms-rights groups and state legislators are fighting to change. 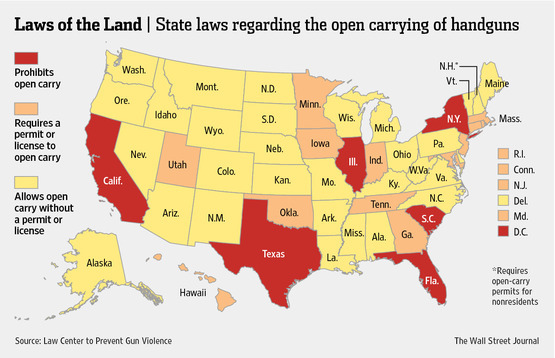 Those efforts, however, have been unsuccessful: Legislation in recent years proposing to allow people to carry handguns visibly has stalled. Now, some Texas gun-rights supporters are concerned that negative publicity over the recent protests will make their struggle even tougher. DALLAS—Texas has stopped inspecting 44% of the dams in the state, following passage last year of a state law that exempted most privately owned dams from safety requirements. Now, as a drought dries up large portions of the Southwest, some dam-safety experts and officials are questioning the law, saying the dry spell is leaving webs of cracks along the surface of earthen dams that may make them weaker—and prone to triggering floods—when rains eventually fill them up again. “There are dozens of dams out there, if not more, that potentially could impact people. But you’re not really sure until they’ve been looked at,” said John Wolfhope, a civil engineer based in Austin who sits on the National Dam Safety Review Board and who testified about an earlier version of the law. 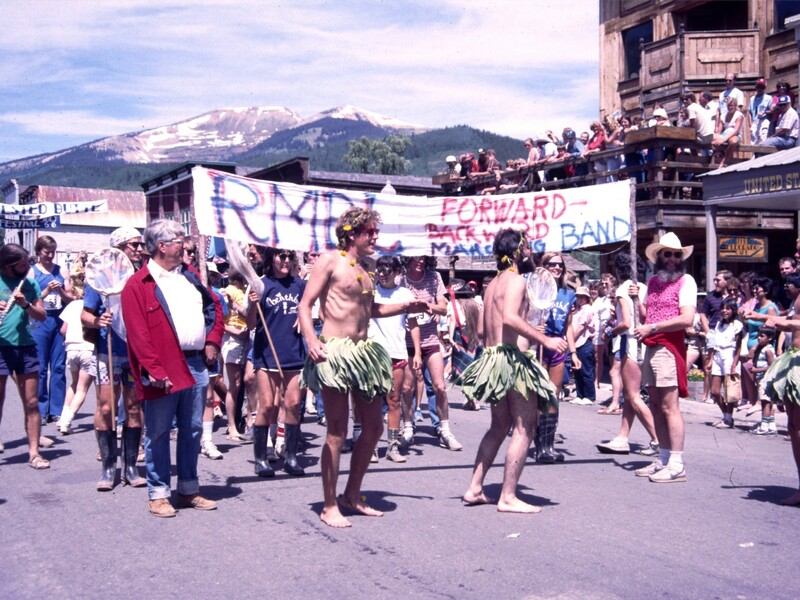 CRESTED BUTTE, Colo.—Amid the parade floats for local businesses and civic organizations here every Fourth of July, one group stands out: a wild-looking clan of scientists dressed in foliage. Clad in outfits fashioned from the football-sized leaves of the skunk cabbage plant, they play an odd medley of instruments—trombones, kazoos, pots and pans—as they march forward, then backward down Elk Avenue, the main street in this Rocky Mountain ski town. A group wearing black galoshes under their leaf skirts twirls butterfly nets in rhythm, like batons. One man teeters through the crowd in stilts. Some wear clothing underneath the vegetation; others don’t.